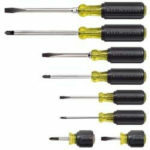 I was thinking I ought to mention a few Holiday Gift Ideas for machinists. You know, the sort of thing where you can just email the article to your significant other and if you’ve been nice, maybe one will show up. After thinking about it a bit, I decided a really nice gift for a machinist would be a Drill Bit Sharpener, such as the Drill Doctor. Between their “Drill Doctor” brand and their industrial brand for more professional machinists, Darex seems to own the Drill Bit Sharpener market. There are others, but I’ll stick to these for this post in the interests of brevity and of sticking to a model I haved used. 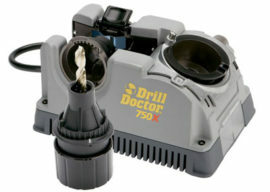 I own a Drill Doctor model 750X. They list for on the order of $197, but can be had on sale. I’ve gotten to where I always search Amazon these days before buying anything, just to get an idea what a decent price is. You’d be surprised what they’re listing these days. Then I go check out my usual sources to see if they can do better. As I write this, Amazon has a listing for a 750X at $125.99, which is a pretty decent savings. 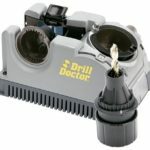 While it is listed on Amazon, it is coming from Drill Doctor themselves and includes a free pocket knife. How do you go wrong with that? The moral: always check Amazon just in case. Why do I like my Drill Doctor and why would I recommend one as a gift? One thing you’ll find out very quickly once you get a Drill Bit Sharpener is how handy they are. When I pull a twist drill from my drill index, I always give it a quick look to see if it’s dull. If it is, I pop it into the Drill Doctor, which stays permanently set up and ready to go in my shop, and pretty soon I have a newly sharpened drill bit. 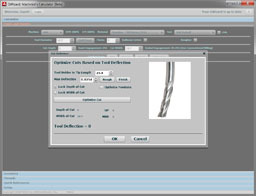 The Drill Doctor lets me select what tip angle I’d like (and our G-Wizard Calculator software will tell you what tip angle is best for your material), and I will change to the desired angle if I’m going to be cutting anything particularly difficult, such as stainless steel. Lastly, this particular model makes it super easy to grind a split point on the end of the twist drill, which noticeably reduces the cutting forces and makes everything proceed much more nicely. 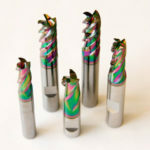 With a CNC, you may not notice these things so much, at least until you break a twist drill. 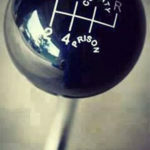 But with a manual mill or drill press, when you pull that quill handle down, the difference between a sharp and dull twist drill is unmistakable. Okay, in the spirit of full disclosure, I have to say that some people don’t like Drill Doctors. If you go search for them on the forums, you will find threads where various folks have said they can’t get their twist drills sharp with one. I will note that while sharpen HSS and Cobalt HSS bits, I have never had a problem. If you look closely at the threads, there is usually someone responding that you have to follow Drill Doctor’s instructions precisely, and then it’ll work. I don’t know if that’s true or not, because I have always followed the instructions for this gizmo and it has always worked well for me. Another objection you will sometimes hear is some heckler wants to know why you don’t just sharpen the bit by hand on your tool grinder? That’s certainly doable, but unless you’ve had a lot of practice, a dedicated sharpener sure delivers results faster, more easily, and more consistently. Also, while I do some hand sharpening, I prefer to do so with larger bits. Drill Doctor is good for 3/32″ to 3/4″ bits. I do my best hand sharpening from about 1/2″ up (something to do with my eyes getting older! ), and that’s a pretty good match for a Drill Doctor. How about fancier drill bit sharpeners? There’s no question they’re out there. Something about tool sharpening machines always seems to fascinate. You could build one relatively easily. I have pondered a quick and dirty design of my own. Someday, I may even take a little hobby mill and CNC it so it can be used as a 4 or 5 axis Tool and Cutter Grinder. 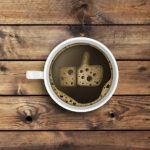 Those musings are on that link I just gave, and I think it would be a very cool project. But, it’s not a trivial project and it’s not something I would use incredibly often. Hard to see it moving up the priority list enough to get done, in other words. Pro drill sharpeners are not cheap–typically several thousand dollars. So, if I was in the market for one because I had a shop that sharpens a lot of twist drills, I’d head over to eBay and search “Drill Sharpener”. There will be plenty to choose from and you’ll also get an idea of the brands. Tough to get a non-machinist to find a good deal for you, so for these machines, you’ll have to be on your own. I saw a decent looking Darex for $495 just now. I wonder if any parts are missing, though, because the attachments are really expensive. 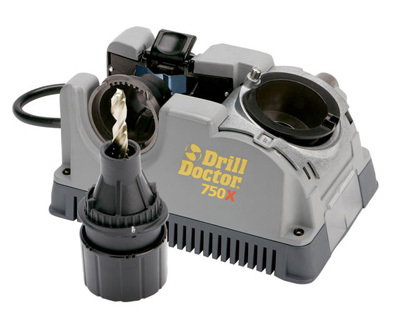 Check out a Drill Bit Sharpener for your Shop–it’s a great addition!